What started out as a fun idea for a post grew into a mini novel on my shoe collection! I’ve referenced my shoe inventory a few times lately and thought it would be fun to put them all together. And if I was going to put them together, I might as well round up every time each style has been worn here on the blog. Oh, and I should include when I got each pair of shoes too. Even though it ended up being more work than I originally anticipated, I’m irrationally excited to share my complete list of shoes with you all! I grouped my shoes by type. The casual category definitely gets the most wear followed closely by my sandals. An asterisk denotes shoes that were gifted to me. 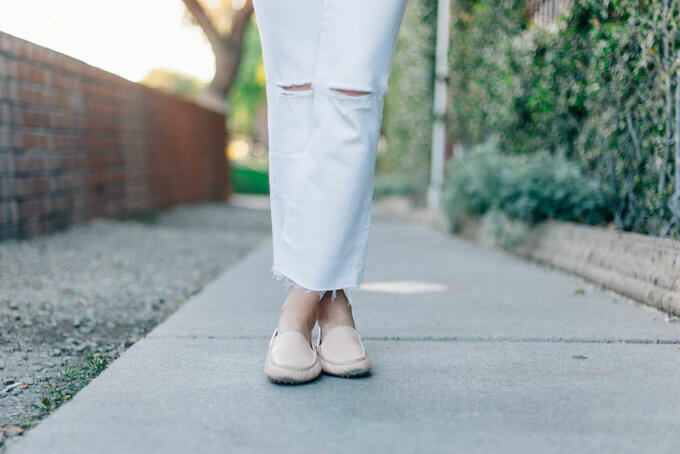 Cole Haan Piper Mules (December 2018) – The most recent addition to my collection. I wore them for the first time a couple of weeks ago during a break in the cold and snow. I know I will love these for years to come! Nike Flyknit Sneakers (February 2017) – I wear these both for BBG workouts and running errands. Cole Haan Zerogrand Wing OX – (July 2015) In the past year I haven’t worn these sneakers much, but I can’t quite part with them. They are so comfortable. I love the pop of color they can bring to an outfit. Worn here, here, here and here. M.Gemi Pastoso Loafers – (April 2018) The newest edition to my M.Gemi collection. Since my beloved Felize loafers are looking pretty worn, I wanted another pair to rotate between. Worn here and here. Sperry Top-Sider Bluefish* (August 2012) – I got these after a family trip to Maine and wore them to death. Literally, the insoles no longer adhere to the footbed. Even though I haven’t had them repaired yet, I still wear them a few times a year. They hold some sentimental value for me too. Worn here. Ugg Classic Short – I’ve never been one to wear my Uggs outside of the house. They aren’t the most fashionable, but they are definitely warm. They are a staple on our camping trips for middle of the night bathroom runs. Brooks Adrenaline GTS18 – These have been my running shoes of choice for as long as I can remember. If it ain’t broke, don’t fix it. Camper Wibo Slippers* (August 2018) – Everyone needs a pair of slippers in the winter and these are mine. 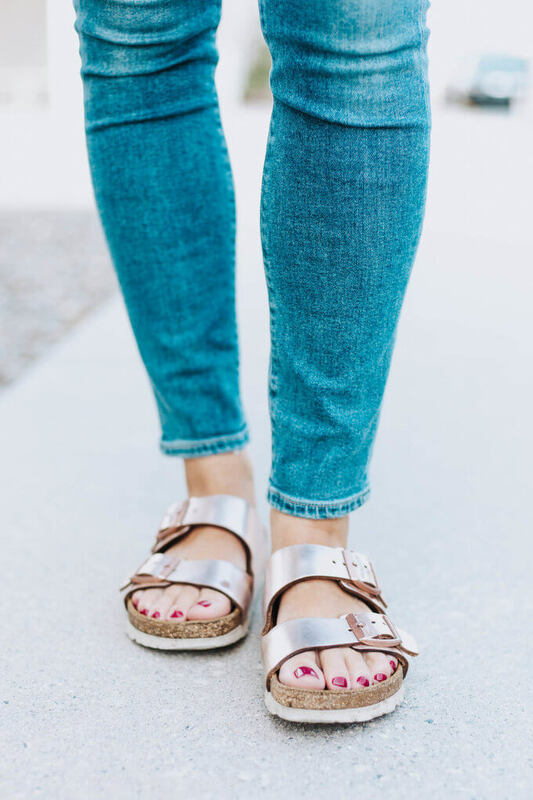 Without a doubt, the four pairs of shoes I wore most often in the past year are my Birkenstock sandals, Felize loafers, Adidas sneakers and Sorel boots. 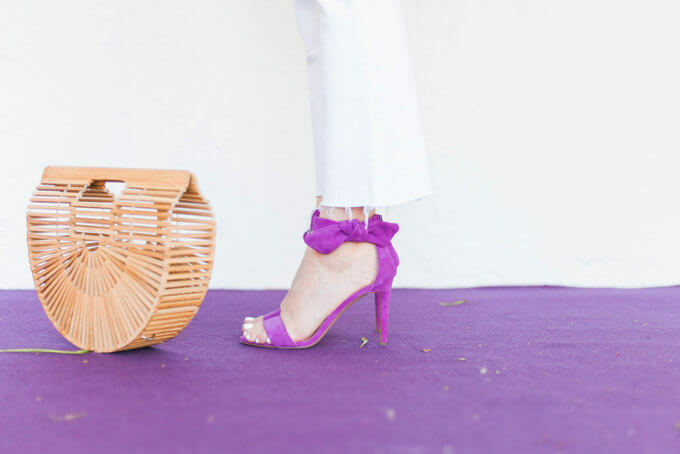 I have a feeling I’ll add the Cole Haan mules as soon as the weather warms up. I’m not quite ready to part with any of them, but if I had to choose…my Cole Haan sneakers, Sam Edelman ankle boots, M. Gemi Cintola sandals and Hunter rainboots are unlikely to make it through the next great purge. Wow, that seems like a lot of shoes. How many do you own? What are your favorites?